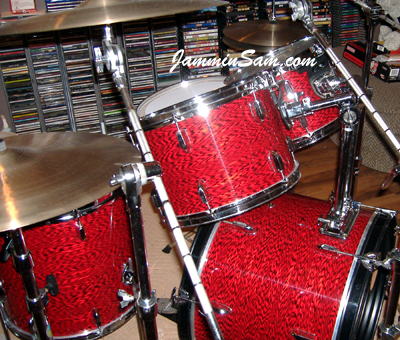 Pictures sent in (July 2006) by Rob Britney from Hamden, Connecticut of his drum set. Awesome job Rob! Thanks to the people at Jammin Sam. 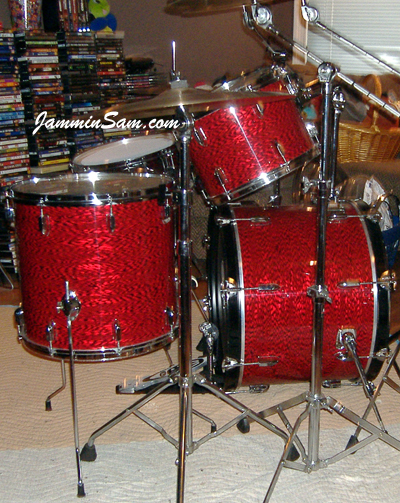 I’ve had these drums since the mid 70’s; they didn’t look this good when I got them. 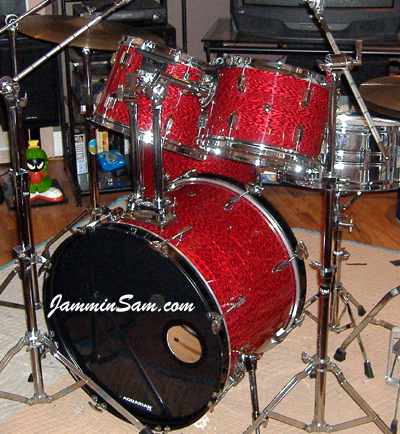 The wrap process was a snap, specially after the first drum. I think it took me longer to polish the hardware and drill out the holes then it did to apply the wrap. The product is great, simple to install and the people at Jammin Sam are awesome.